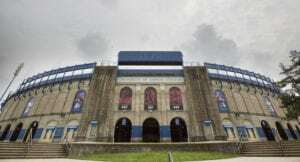 Long before their final season in Lawrence began, Kansas football’s standout redshirt seniors, Daniel Wise and Joe Dineen, learned they ranked among the program’s all-time best in career tackles for loss. And with Dineen, a linebacker, leading Wise, a defensive lineman, by 3.0 TFLs, the race to the top, and former KU linebacker Willie Pless’s record of 41 (from 1982-85) was on. It’s feasible for both Wise and Dineen to complete their time as Jayhawks ranked first and second in the category. Entering today’s road game at Texas Tech (2:30 p.m., FOX Sports 1), Dineen has 39 tackles for loss on his résumé, good enough for fourth place in KU’s record book and a 1.0 TFL lead on Wise, whose 38 currently place him fifth. 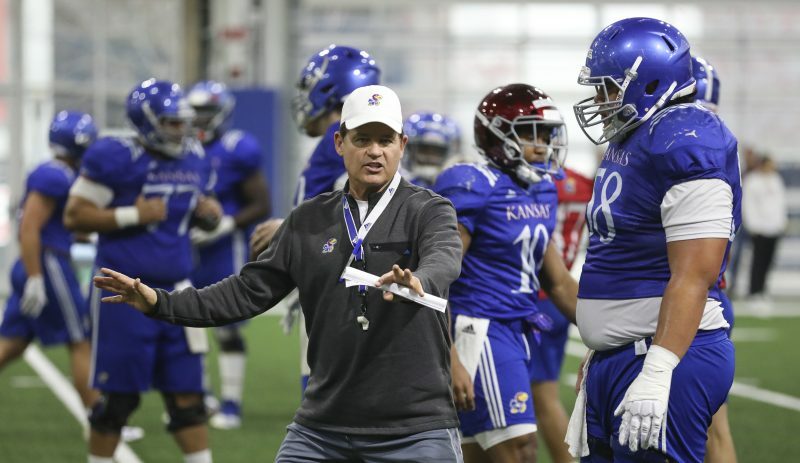 Only Nick Reid (40 from 2002-05) and Jim Zidd (40 from 1977-79) stand between KU’s defensive captains and Pless. With a superb showing, one or both of Dineen and Wise could theoretically vault to the top of the list during their trip to Lubbock, Texas. 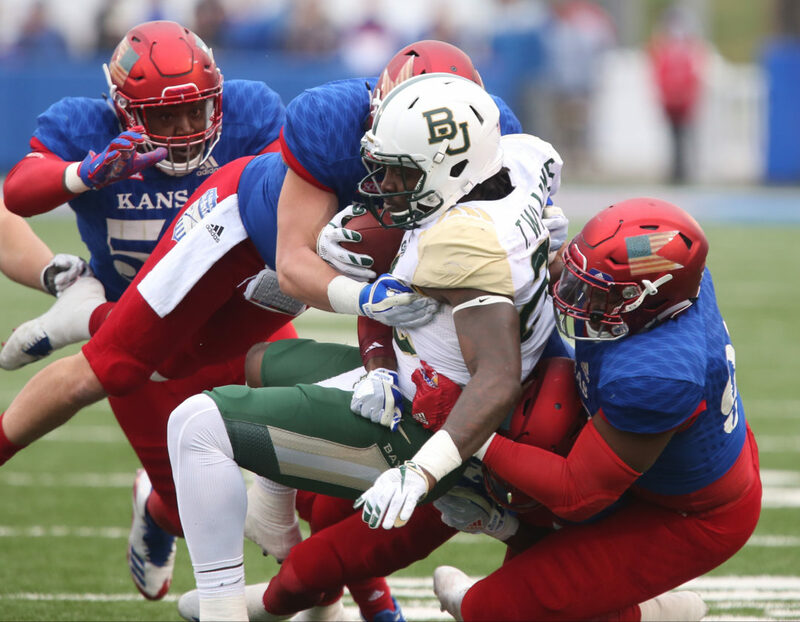 Baylor Bears running back Terence Williams (22) is dragged down by Kansas defensive tackle Daniel Wise (96), right, Kansas linebacker Joe Dineen Jr. (29), center, and Kansas defensive tackle Jacky Dezir (54) during the first quarter on Saturday, Sept. 4, 2017 at Memorial Stadium. So the two of them must talk about this record book competition, right? 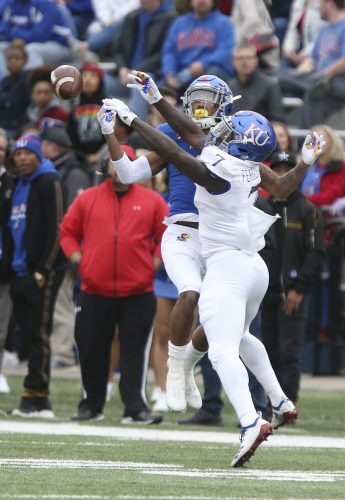 Wise, from Lewisville, Texas, leads KU with 6.5 TFLs this year. He has maintained since before the season he wasn’t necessarily chasing Pless’s mark or even trying to hit a specific number in 2018 as a goal. After Wise’s 3.5 tackles for loss showing at West Virginia boosted his chances it seems either of the two could end up on top. 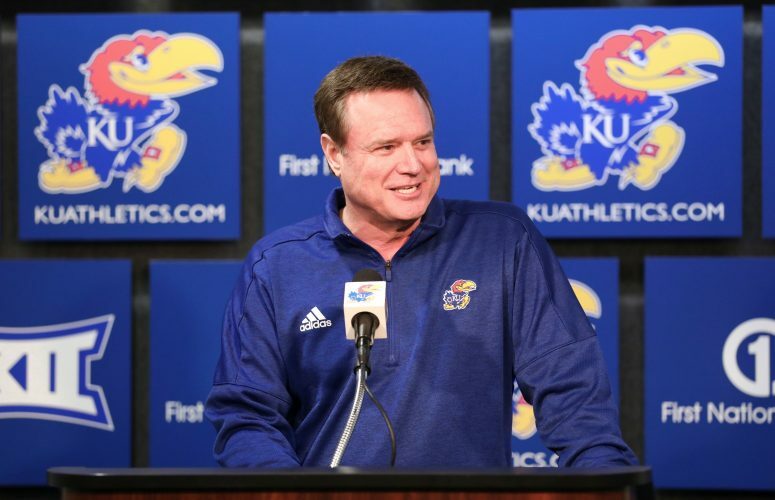 Truthfully, both Wise and Dineen are more interested in helping KU break its current three-game losing streak, somehow steering the program back on track before they leave and numerous other team-related accomplishments than they are the TFL record. Dineen is happy to see Wise, who made two sacks at WVU, succeed. Even if that means Wise passes Dineen? 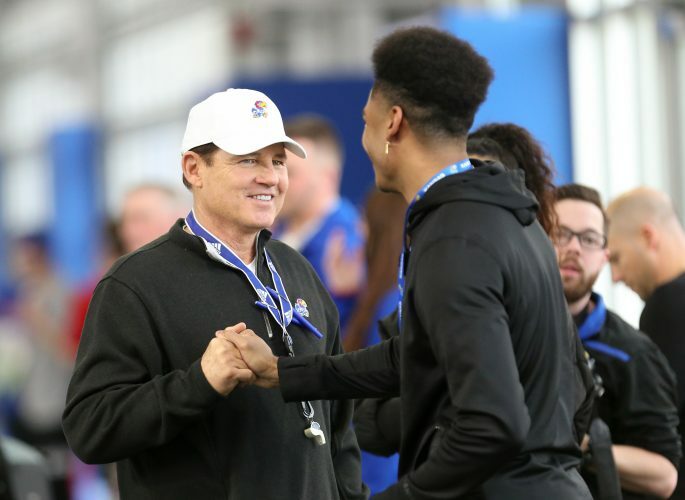 Wise said the two only discussed their chase for KU’s TFL crown “here and there” before the season began, and that hasn’t changed. The defensive lineman also predicted their friendly contest will mean more to them in the future. “That’ll be something pretty cool to just look back at,” Wise said.